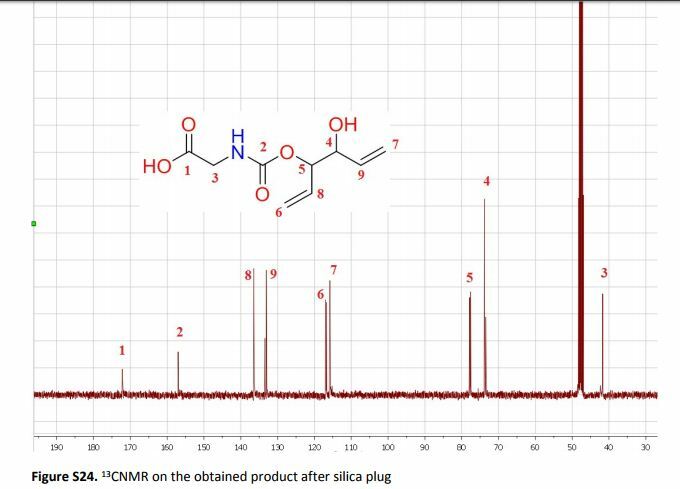 We report the development of a novel synthetic method to access a key intermediate in the synthesis of edoxaban. 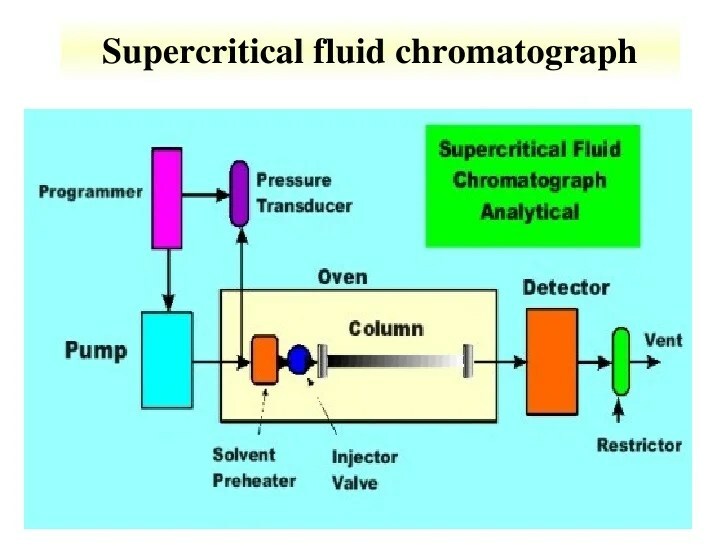 The main features of the new synthetic method are an improvement in the approach for the synthesis of a key chiral bromolactone, application of an interesting cyclization reaction utilizing neighboring group participation to construct a differentially protected 1,2-cis-diamine, and implementation of plug-flow reactor technology to enable the reaction of an unstable intermediate on multihundred kilogram scale. The overall yield for the preparation of edoxaban was significantly increased by implementing these changes and led to a more efficient and environmentally friendly manufacturing process. Ring opening of cyclic carbonates with unprotected amino acids in water – a route to highly functional carbamates. The present work shows that it is possible to ring-open cyclic carbonates with unprotected amino acids in water. Fine tuning of the reaction parameters made it possible to suppress the degree of hydrolysis in relation to aminolysis. This enabled the synthesis of functionally dense carbamates containing alkenes, carboxylic acids, alcohols and thiols after short reaction times at room temperature. When Glycine was used as the nucleophile in the ring-opening with four different five membered cyclic carbonates, containing a plethora of functional groups, the corresponding carbamates could be obtained in excellent yields (>90%) without the need for any further purification. Furthermore, the orthogonality of the transformation was explored through ring-opening of divinylenecarbonate with unprotected amino acids equipped with nucleophilic side chains, such as serine and cysteine. In these cases the reaction selectively produced the desired carbamate, in 70 and 50% yield respectively. The synthetic design provides an inexpensive and scalable protocol towards highly functionalized building blocks that are envisioned to find applications in both the small and macromolecular arena. Dr. Eric V. Johnston obtained his Master of Science degree in 2008 at the Department of Organic Chemistry, Stockholm University, Sweden. 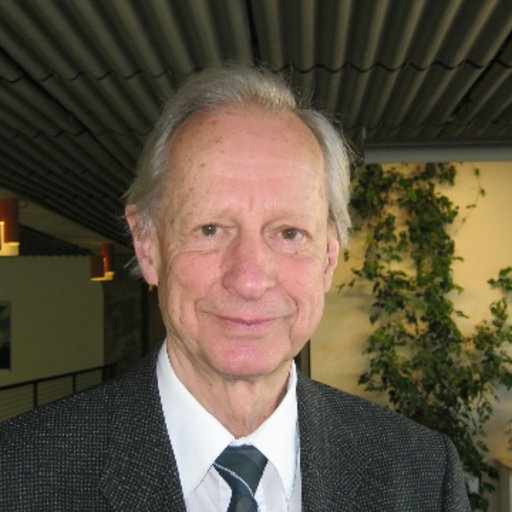 In the same year, he started his graduate studies under the supervision of Prof. Jan-Erling Bäckvall. During his PhD, he worked on the development of new homogeneous and heterogeneous transition-metal catalysts. After receiving his PhD in 2012, he joined Prof. Samuel J. Danishefskys research group at Memorial Sloan-Kettering Cancer Center, New York, USA as a postdoctoral fellow supported by The Swedish Research Council. Here he was engaged in the total chemical synthesis of glycolsylated proteins that play important roles in modern cancer treatment. In 2014 he returned to the Department of Organic Chemistry at Stockholm University to establish his own group. The goal of his research is to contribute new advances to the strategy and methodology for the preparation of synthetic macromolecules such as proteins, glycopeptides, sequence and length-controlled polymers. 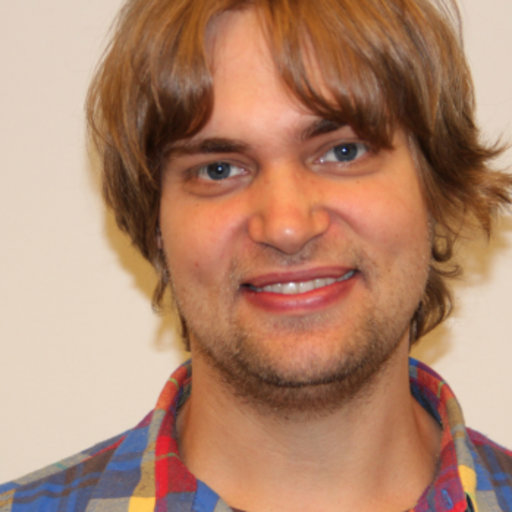 He is also a Co-Supervisor for Prof. Björn Åkermarks research group, which aims at studying and developing new homogeneous, as well as heterogeneous, water oxidation catalysts. The ability to safely access high temperatures and pressures in flow reactors has implications not only on the rate of chemical reactions, but also on the types of solvents one can use. Many greensolvents such as methanol and acetone have boiling points too low for certain batch applications, whereas performing reactions at high pressure in a flow reactor may allow for their safe use at elevated temperatures. Supercritical fluids are particularly interesting, since these solvents are entirely inaccessible without high pressure conditions. The use of supercritical fluids in a flow system offers numerous advantages over batch reactors. Reactions may be performed on a small scale, improving safety and reducing the amount of material required. 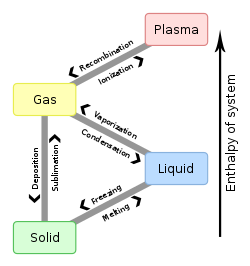 Depending on the type of reactor, it may be possible to visualize the reaction to evaluate the phase behaviour. Moreover, the reaction can be analyzed and the temperature and pressure subsequently changed without stopping the reaction and cleaning the vessel, as is necessary in a simple autoclave. 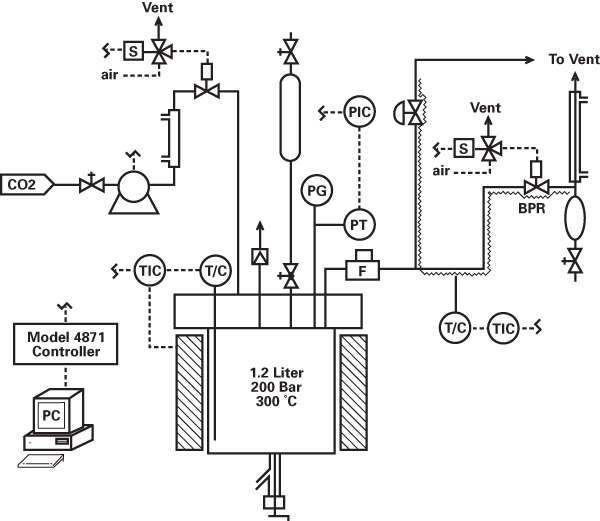 A recent example that illustrates many of the green advantages of performing supercritical fluid chemistry in flow is in the ring opening of phthalic anhydride with methanol by Verboom and co-workers (Scheme 1).6 They designed a microreactor with a volume of just 0.32 μL that can withstand very high pressures. The exceptionally small channel causes a large build-up of pressure, and supercritical conditions with pressures of up to 110 bar and temperatures up to 100 °C can occur inside the reactor, giving an ‘on-chip’ phase transition. The channel size increases near the outlet, allowing the fluid to expand to atmospheric conditions. Thus, the total volume of scCO2 under high pressure is exceptionally small, alleviating the major hazards of operating under supercritical conditions. The reaction was thoroughly studied on this small scale, allowing the authors to determine rate constants at several different temperatures and pressures. 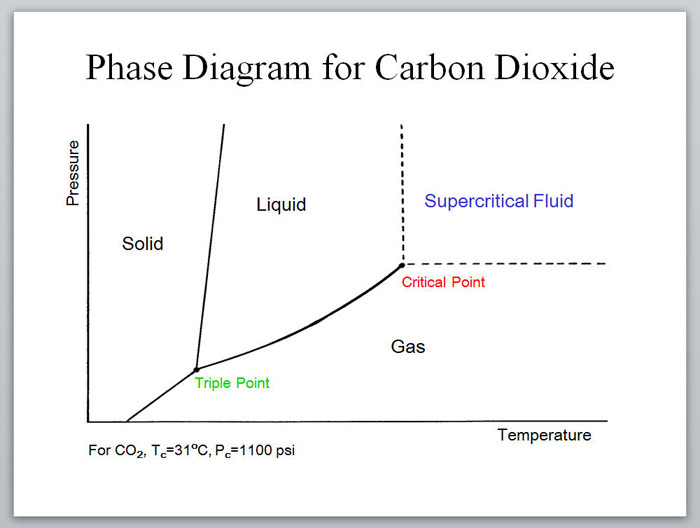 Scheme 1 Small scale continuous use of supercritical fluids. Near- and supercritical water (scH2O) can be an interesting green solvent only obtainable at very high temperature (Tc = 374 °C) and pressure (Pc = 221 bar). It is commonly used for completeoxidation of organic waste materials to CO2; however, it has also been shown to be an effective solvent for selective oxidations.7 Given the harshness of the reaction conditions, it is not surprising that side product formation is common and highly dependent on the reaction time. 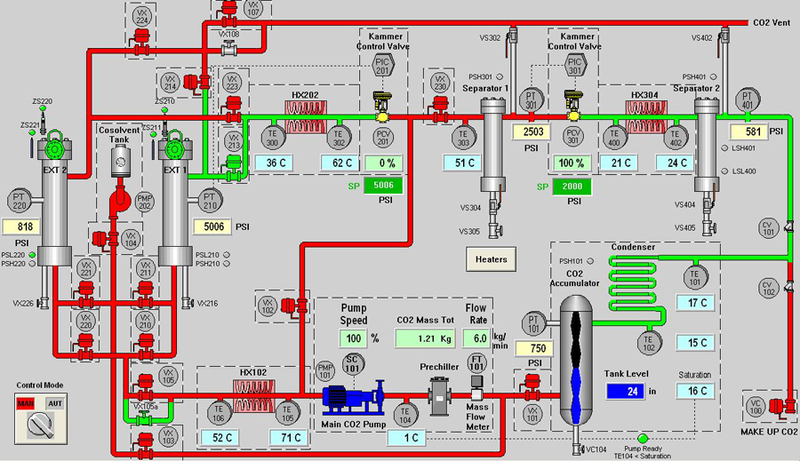 For fast reactions in a batch reactor, precise control of reaction time is challenging, as the vessel takes time to heat and cool. In contrast, rapid heating, cooling, and quenching can be accomplished in a continuous process, allowing for well defined reaction times. Fine tuning of the temperature, pressure, and time is also easier in a continuous process, as these variables can be changed without stopping and starting the reaction between samples. Thus, more data points can be obtained with less material and fewer heating and cooling cycles. The Poliakoff group used these advantageous to perform a detailed study on the oxidation of p-xylene to terephthalic acid in scH2O, a reaction carried out on industrial scale in acetic acid (Scheme 2).8 By using a flow reactor, reaction times as low as 9 seconds could be used. The equivalents of oxygen could also be finely varied on a small scale through the controlled thermal decomposition of H2O2. Scheme 2 Selective oxidation in supercritical water. Astakolactin is a sesterpene from the Ionian Sea near Greece possessing considerable biological properties. Hence, that’s why the authors decided to synthesize it, and also why the we’re all interested in its structure. In the conclusion of this paper, no biological studies were performed, but the characterization matches that of the natural product, which is a big deal. K.R. Knudsen, J. Holden, S.V. Ley and M. Ladlow, Adv. Syn. Cat. 2007, 349, 535-538. A versatile, fully automated flow hydrogenator has been developed that is able to perform sequential flow optimisation experiments, flow library hydrogenation, or iterative scale-up hydrogenation. The behaviour of a palladium catalyst in effecting removal of O-benzyl and N-benzyloxycarbonyl protecting groups has been investigated. Significant observations relating to maintaining optimal throughput are reported. A small library of peptidic derivatives has been deprotected in high yield and purity. in conjunction with a 5 mL sample injection loop, although larger cartridges are also available. C.H. Hornung, M.R. Mackley, I.R. Baxendale and S.V. Ley and, Org. Proc. Res. Dev., 2007, 11, 399-405. N. Nikbin, M. Ladlow, S.V. Ley, Org. Proc. Res. Dev., 2007, 11, 458-462. D.L. Browne,* I.R. Baxendale, S.V. Ley, Tetrahedron2011, 67, 10296-10303. I.R. Baxendale, S.C. Schou, J. Sedelmeier, S.V. Ley, Chem. Eur. J. 2010, 16, 89-94. Multi-step in flow: The palladium-catalysed acylation of terminal alkynes for the synthesis of yne ones as well as their further transformation to various heterocycles in a continuous-flow mode is presented. Furthermore, an extension of the simple flow configuration that allows for easy batch splitting and the generation of a heterocyclic library is described (see scheme). 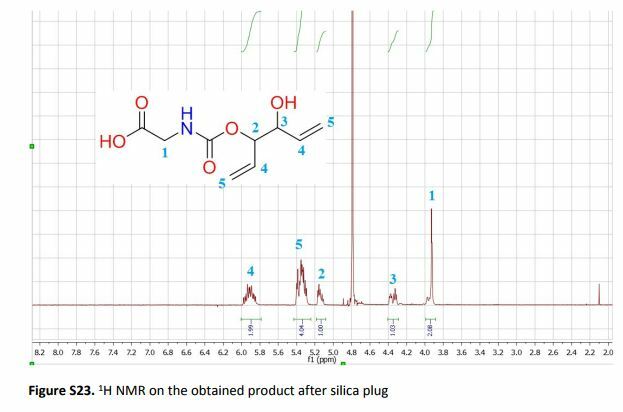 After looking through a number of flow articles that describe and illustrate processes toward the production of drug final products and advanced intermediates, I thought an article from Florida State — Tyler McQuade (open source Beilstein JOC 2013) was informative and storytelling. He was able to show some of the challenges that go into designing a flow methodology around process that have already been worked out in batch mode, and had been looked at in a number of labs already.